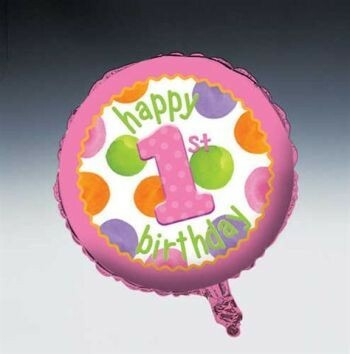 Themed metallic foil balloon. Requires helium filling. 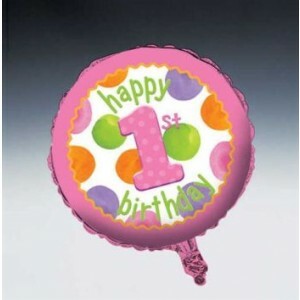 18" (46cm) Great for a girls 1st birthday celebration.